The transition from sidelines to center stage is the dream of every nonprofit. When WNPF approached us with an eager board of directors and a fledgling brand, we lent our expertise to help their visual identity match their ambitious mission: Support our parks. The key to brands like WNPF is mindful scalability and subdivision. Working within their brand guidelines, we assisted with the styling of numerous sub-brands, such as Fireside Circles, GiveBIG and Over the Top Society, each with their own unique color palette, promotional marketing and visual identity. When your guest list includes VIPs such as former Washington State Governor, Christine Gregoire, it is critical to ensure that messaging is effective and on point. 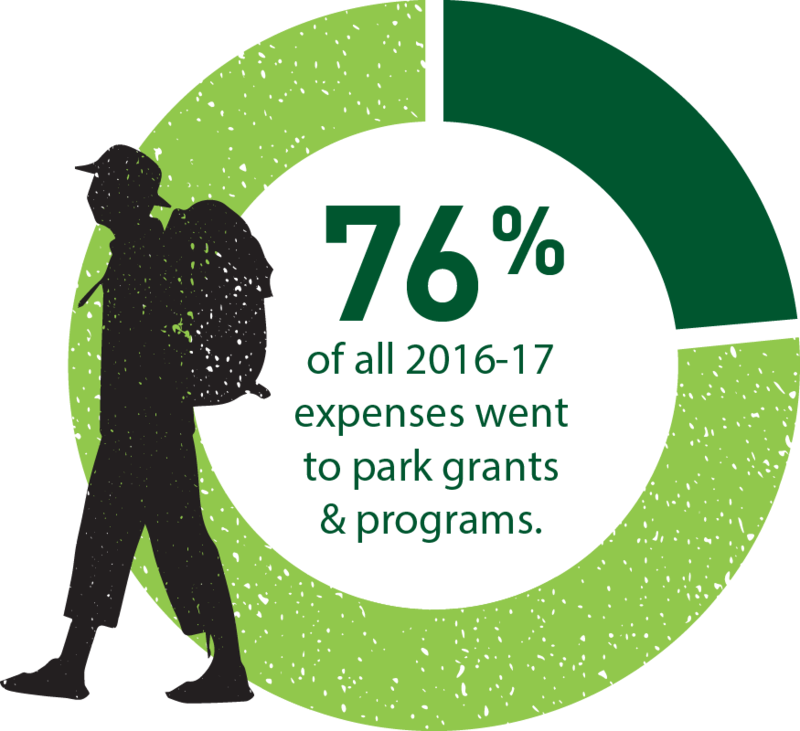 Together with WNPF, we worked to highlight their impressive track record, proving that every donor dollar would go directly toward our parks' greatest needs. To help stock WNPF's marketing response kit, we developed a series of evergreen templates and graphics ready to populate with their latest projects and accomplishments. From branded email marketing to a quarterly print newsletter, little by little their voice took on a life of its own. When an altruistic organization such as Washington's National Park Fund knocks on our door, there is no question—we let them in. Like any backcountry guide, our job is to help them navigate the creative wilderness so that pristine environments such as Washington's national parks may be preserved for posterity, spiritual and physical restoration, interconnected ecosystems and for their own inherent beauty.